High rates of both HIV and depression are seen in prison populations; depression has been linked to disease progression in HIV, risky behaviors, and medication non-adherence. Despite this, few studies have examined HIV-infected inmates with depression. 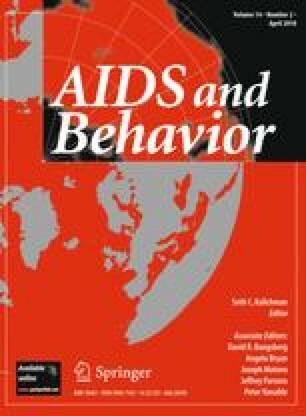 We therefore conducted an exploratory study of a sample of HIV-infected inmates in North Carolina prisons (N = 101) to determine what proportion of this sample screened positive for depression and whether depression was associated with different pre-incarceration characteristics or post-release needs. A high proportion of HIV infected inmates (44.5%) screened positive for depression. Depressed inmates were significantly more likely have low coping self-efficacy scores (180 vs. 214), to report having had resource needs (OR = 2.91) prior to incarceration and to anticipate needing income (OR = 2.81), housing (OR = 4.07), transportation (OR = 9.15), and assistance with adherence (OR = 8.67) post-release. We conclude by discussion the implications of our findings for prison based care and effective prison release planning for HIV infected inmates. This study was supported in part by the US National Institutes of Health, National Institute on Drug Abuse and by the University of North Carolina Center For AIDS Research. Bureau of Justice Statistics. (2007). Criminal offender statistics. Retrieved 3 March 2007 from http://www.ojp.usdoj.gov/bjs/crimoff.htm.